America has been known to only feature one important 24-hour race series: The 24 Hours of LeMons. Yes, we have a major 24-hour single event here too, but IMSA doesn’t do mega duration events for their whole series. The Creventic 24H Series runs a slate of endurance races each season, and the shortest race you’ll see from them is a 3x3 hour setup, but that’s considered a support race for their 24-hour races. Your typical 2 or 3 hour race format bores them. The focus of this series is on amateur and semi-pro drivers and teams looking to gain valuable experience and exposure. You’ll see the occasional ringer or well-funded team, but the majority of these crews aren’t packing massive budgets. 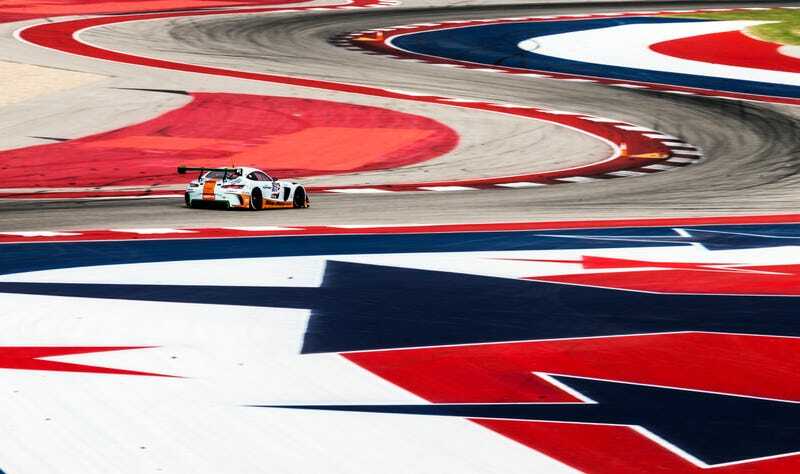 Their stop in Austin, for the first time at COTA, included only the 24 (split into 14 hours on Saturday and 10 hours on Sunday this time), which had 41 cars across half a dozen classes making noise well into the Texas night. From an operating cost standpoint, I learned from a few team managers and drivers that you can’t get a better value for entering a team and having tires, fuel, and logistics taken into consideration. Especially when you look at a schedule that includes stops at Imola, Silverstone, Spa, Barcelona, Portimao, and Dubai. For fans, the bargain is even better. It’s free to attend. 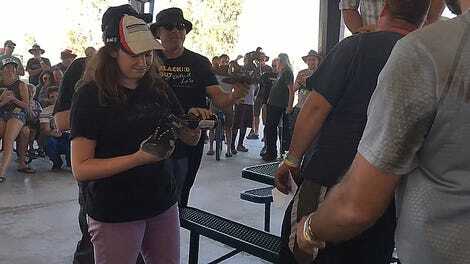 Free admission, free parking, and an open paddock. From what I experienced this weekend, the teams’ crew and drivers are welcoming, friendly, and happy to chat with the casual fan. It was a refreshing sight, coming from my view, and I get to be behind the scenes at six or seven major level race series every season. I was in the middle of the action all weekend, and feel like your Monday could use more race car, so here, have some race car. This is no ordinary Mazda. It’s a MARC Australian one, packing a Ford Coyote 5.0L V8. God love you, Australia. Thanks to Winward Racing / HTP Motorsport for putting their faith in the trusted Jalopnik Bump. This BMW was entered by Texas-based Classic BMW, who also runs this car in the Pirelli World Challenge. The 2018 calendar already has COTA marked for a November race weekend, and this guy hopes they make a habit of paying Austin a visit. To check out more of my photography, hit up my portfolio site and follow my instagram.